Douglas Smith has a background in agriculture and, as a youngster, did five seasons in the dairy industry's cadet scheme. After travelling overseas, Doug returned to New Zealand and worked as a fencing contractor, spent considerable time in the bread industry as an owner/driver, and then owned a timber processing business. Just prior to entering real estate, Doug returned to farming as an assistant farm manager on a dairy support unit at Lower Moutere. 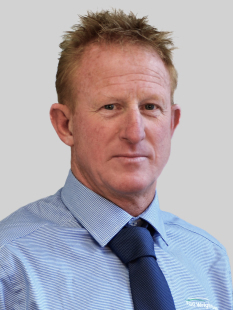 Nowadays, Doug works alongside Peter Evans in growing the PGG Wrightson Real Estate presence in the Nelson and Golden Bay region. Doug and his partner, Fiona, live on a lifestyle block in the Nelson hinterland, where they enjoy the great Tasman lifestyle, whether it be hunting, fishing or tennis. Fiona is also employed in the agricultural industry as a rural manager for an insurance company. Together they have two children and spend most of their leisure time ferrying them to their many sporting activities. "Doug Smith acted as my agent for the sale of my property over several months in 2016. I found Doug to be a very astute person who understood the need to be clear and concise in his work. Doug went about his responsibilities in a professional manner while recognising good communication was paramount. I have no hesitation in recommending him to any future client."